Happy St. Patrick's Day! These Mint OREO Brownies are an easy and delicious treat that's festive enough for the holiday! You can easily just take your favorite boxed brownie mix and stir in chopped Mint OREOs, but I love to make this simple one-bowl brownie recipe whenever the brownie craving strikes. 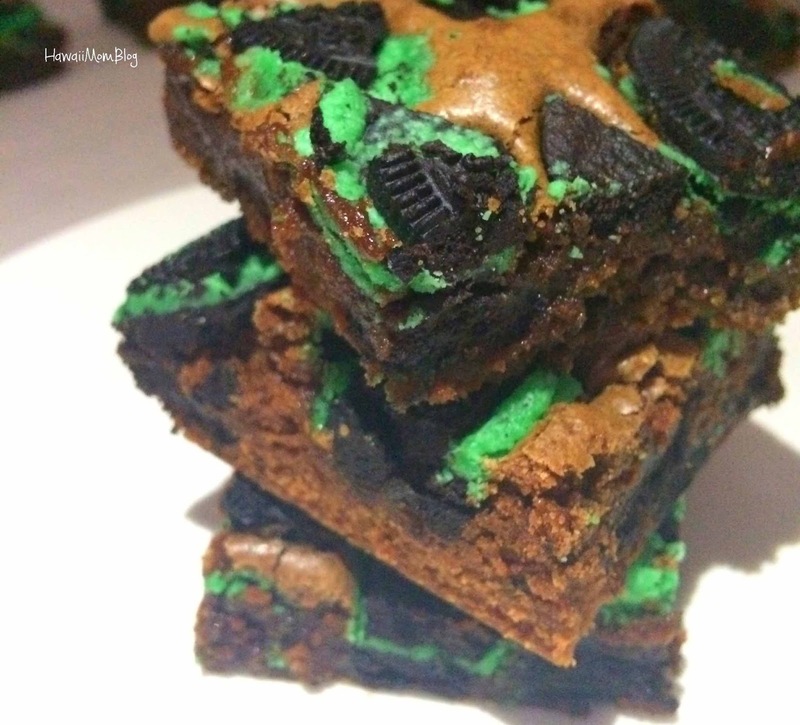 I adapted the recipe slightly to account for the OREOs, but whether you bake the brownies from scratch or use a boxed mix, the combination of the mint and chocolate is delightful! Melt chocolate chips and butter in a microwave-safe bowl for 90 seconds on high; stir until smooth.